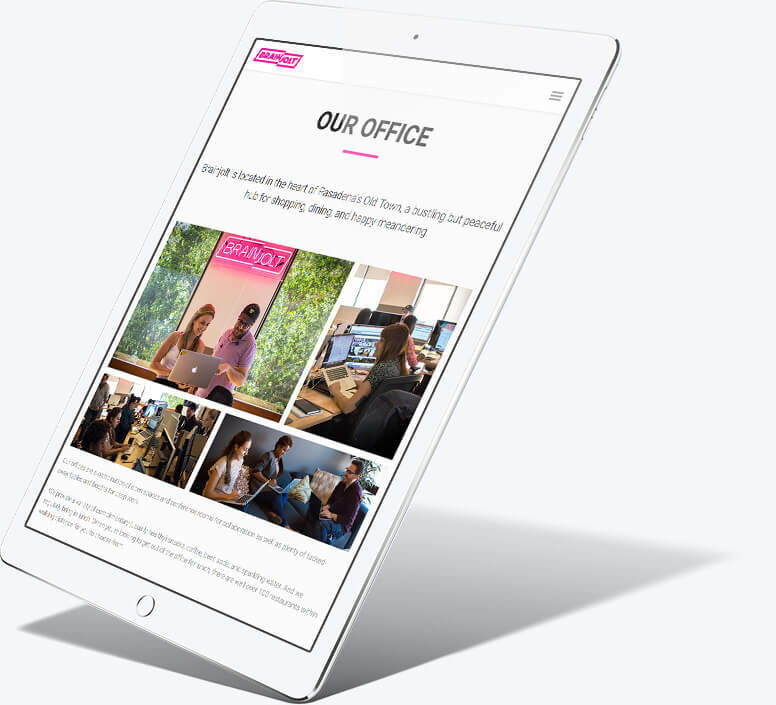 We worked with BrainJolt Media to produce a beautiful, single-page site that we eventually helped them grow. Originally intended to be a prebuilt theme, we ended up developing it from scratch. Learn about our process on this project. 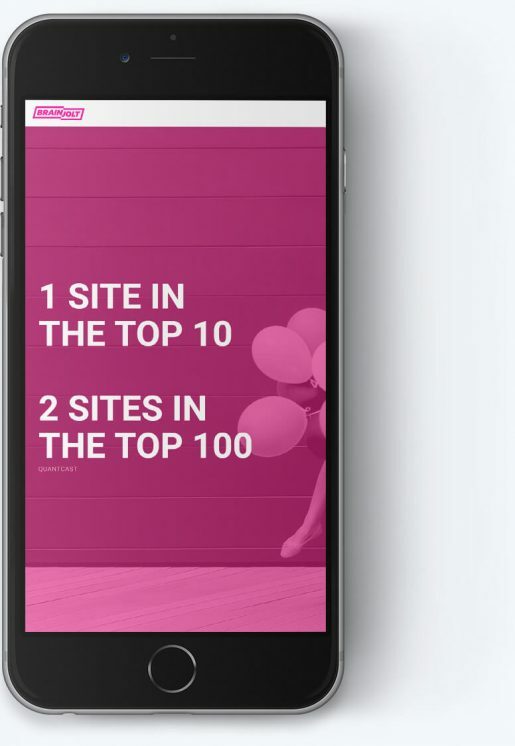 Once BrainJolt had established themselves as a company with several successful sites, they realized that they needed a centralized location where people could learn more about the company. There wasn’t enough information to require a full website, so they settled on a simple one-page design. Using pay-for WordPress themes usually results in a website that doesn’t live up to expectations. It’s slow to work with, and slow for users to load. If you’re concerned about looking professional, a custom-developed theme will win every time. 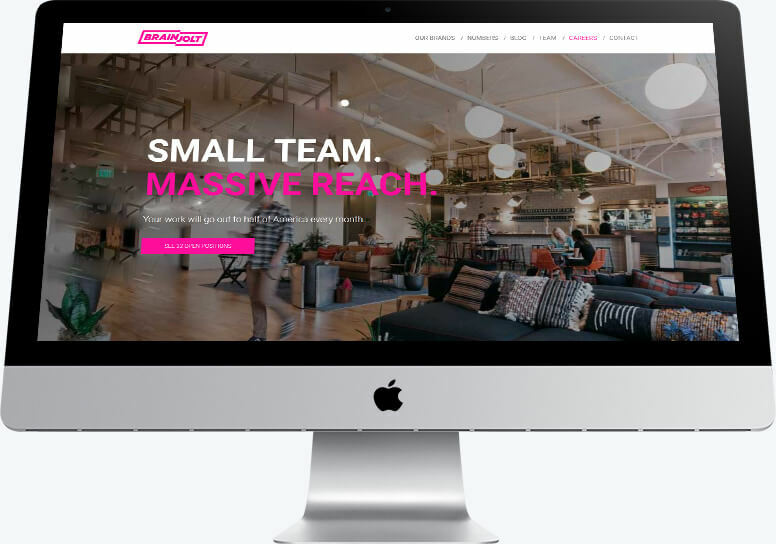 Initially, they decided that they wanted to use a pre-built template that offered little room for flexibility, but after consulting with both a third party designer and ourselves, it was decided custom-developing the site based on the model would be the fastest and cheapest way to get the site up and running. There were a few steps to taking the project from the initial design to a fully responsive, functionally-complete website. Drawing inspiration from the initial template being used, the designer was able to create an improved layout to the template while allowing more flexibility for content and sizing. As he worked, he began to realize that there were sections that would be nice for BrainJolt to have on their site that didn’t match anything in the initial template design. If the template had been used “as-is,” modifying it to fit their needs would have been both costly and taken a large amount of time. But since we were using a custom solution, it was fairly trivial to add new sections or modify existing ones. Once the design was in place, it was a quick matter of writing the code match the guidelines that the designer had given us. The result was something that looked and felt better than the initial pre-built template proposed. One of the larger concerns with the initial template was that it was difficult for anyone at BrainJolt to modify the content without contacting us. A goal of using a custom-built solution was allowing them to quickly and easily make changes without needing to get in touch with us, thus saving them both time and money. Because we had built the system, we were able to insert a custom-tailored content management system that identically matched their needs. Using this CMS, they have been able to keep their site up to date with the most recent content without needing the business overhead or expense of contracting us. 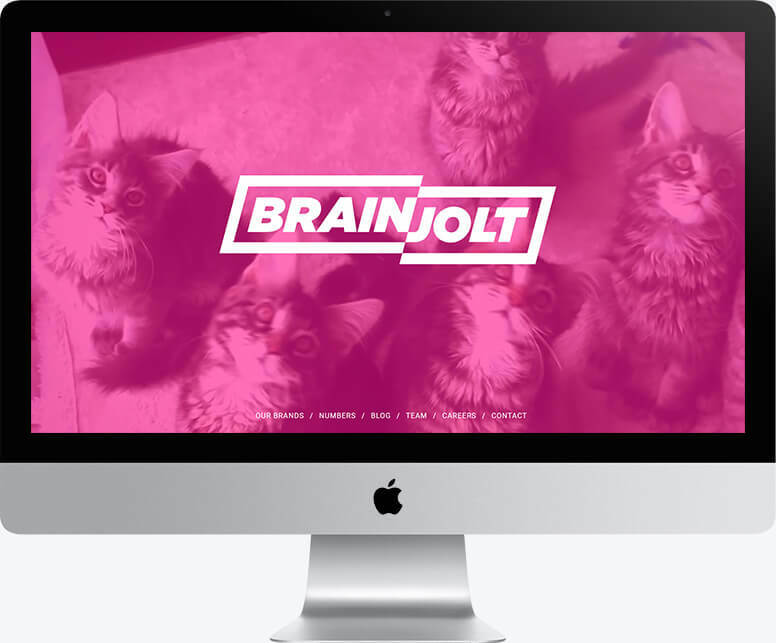 Shortly after we finished building the website, BrainJolt realized the convenience of creating job listings directly on the site. Using custom solution instead of an inflexible template, we were able to add a new set of pages that contained job listings. Working closely with the same designer, we created a layout that allowed the BrainJolt administrative staff to post new job listings efficiently. The entire site, including the job listings, was created in under a week. If we had been forced to work within a “pre-built” template, that could have easily extended to 2 weeks or more. Take a look at how it turned out. The client wanted an in-your-face hero section. Cats were a must. Big imagery with bold headlines and a clean message. Fullscreen imagery with a loud call to action. For tablet, we were able to give the look and feel of a full desktop, but with large targets for touch devices. A simplified section, shown on mobile, highlighting the client's standings.